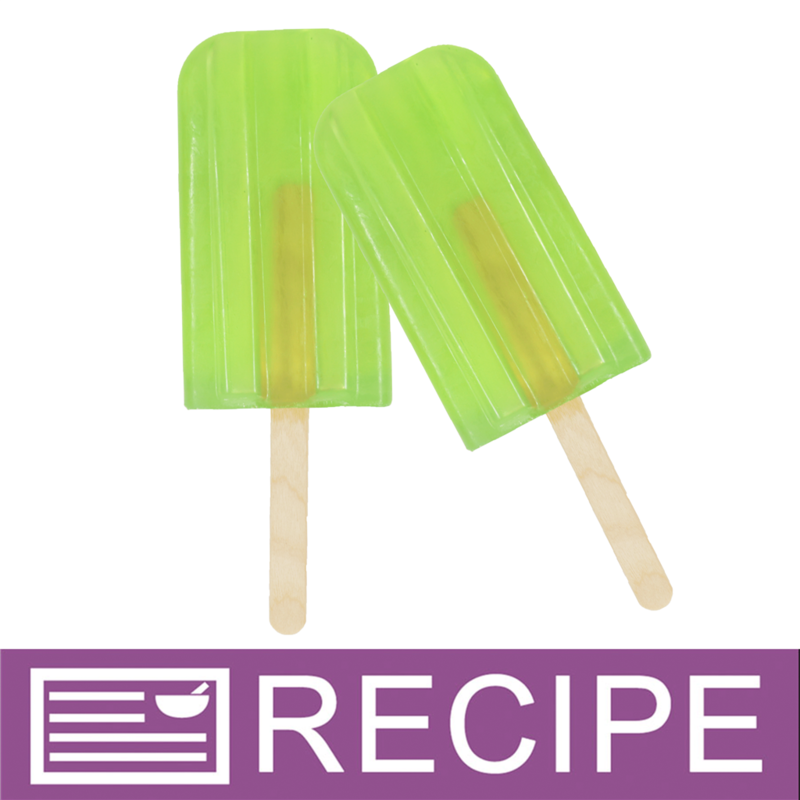 Add a touch of summer to your craft show table with soap pops made with this silicone mold! 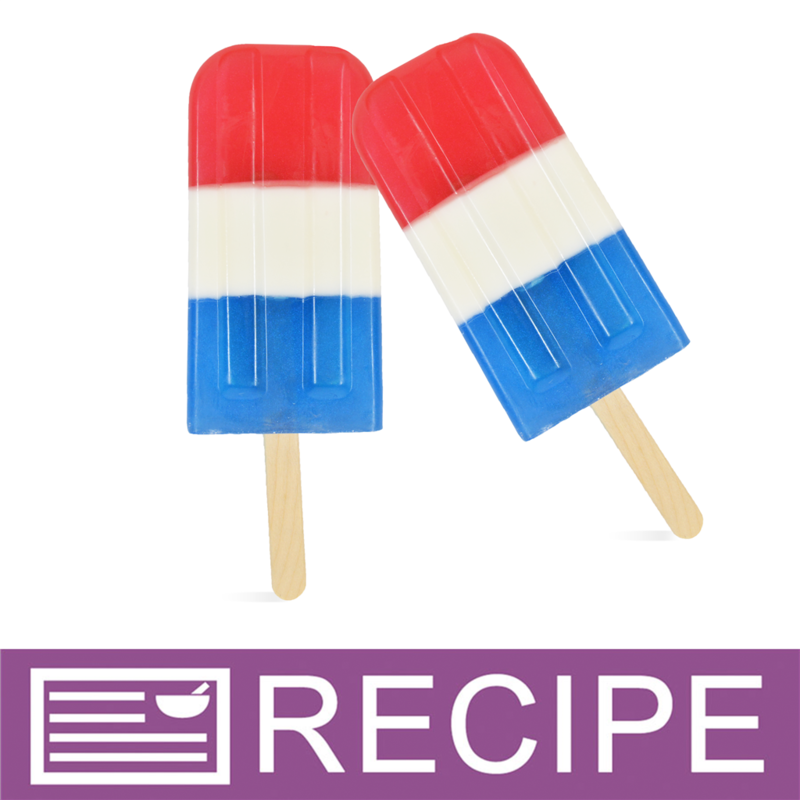 Create classic red, white and blue soap pops in July, or add fruity embeds and sweet scents for a colorful bar suitable all summer long. Bar Cavities: 6 Bar Depth: 4"
Bar Length: 2" Bar Width: 0.8125"
Melt & Pour Soap: Pour melted soap into silicone mold cavities. 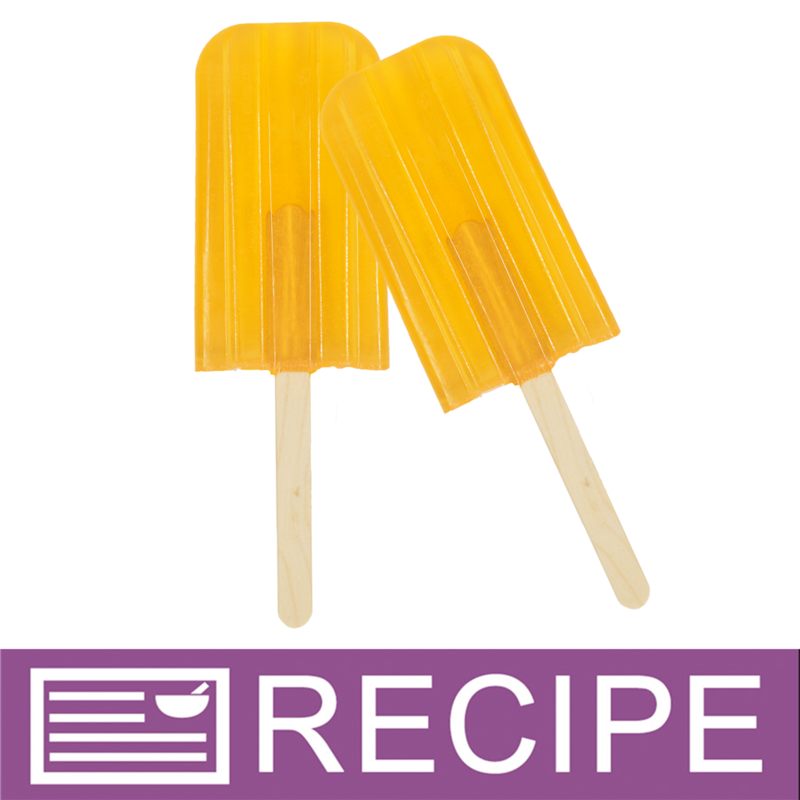 Place lid on top of soap, and then insert popsicle sticks into each hole. Allow soap to cool at room temperature until hard. Carefully remove lid. Remove soap from mold by gently pulling the sides away from the soap, and then push on the bottom of the mold until the soap starts to release. Grab hold of the soap and carefully pull out of the mold. DO NOT PULL FROM STICKS. Cold Process Soap: Pour soap at trace into the mold cavities. 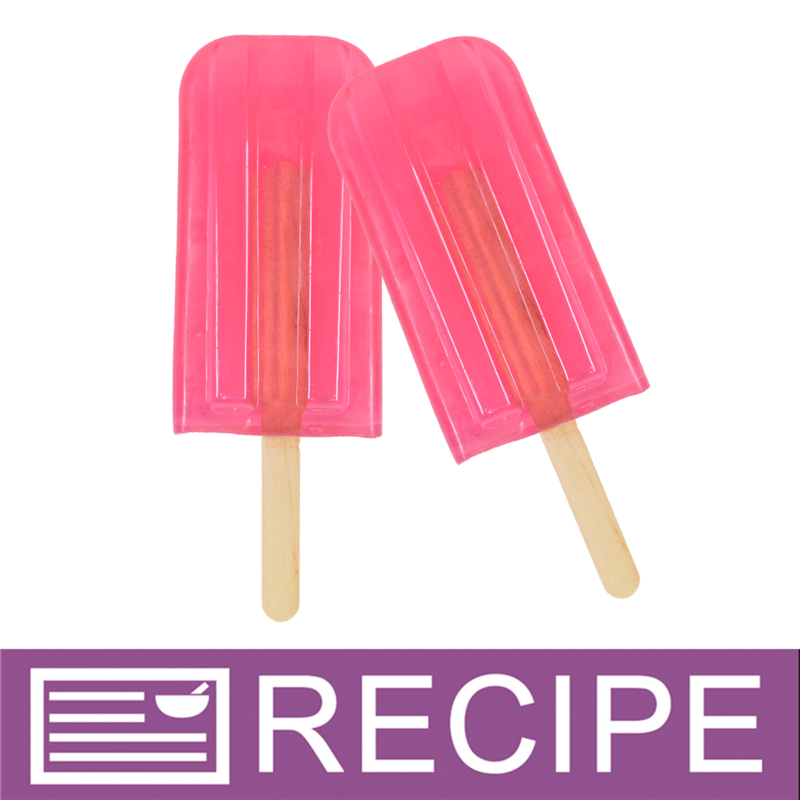 Place lid on top of soap, and then insert popsicle sticks into each hole. After at least 24 hours, remove lid and gently pull silicone mold to loosen its grip on the soap. Gently push on the bottom of mold until the soap starts to release. Grab hold of the soap with a gloved hand, and allow soap to cure for 4-8 weeks. Note that some cp soap recipes may require a week to harden enough to remove from the mold. If this is the case with your recipe, we recommend adding sodium lactate to your recipe to assist with creating a harder bar faster. DO NOT PULL FROM STICKS. Cold Process/Oven Process Soap: Pour soap at trace into the mold cavities. Preheat oven to 170ºF then place mold in oven. Turn oven off, and keep soap in oven overnight. The next day remove mold from oven. 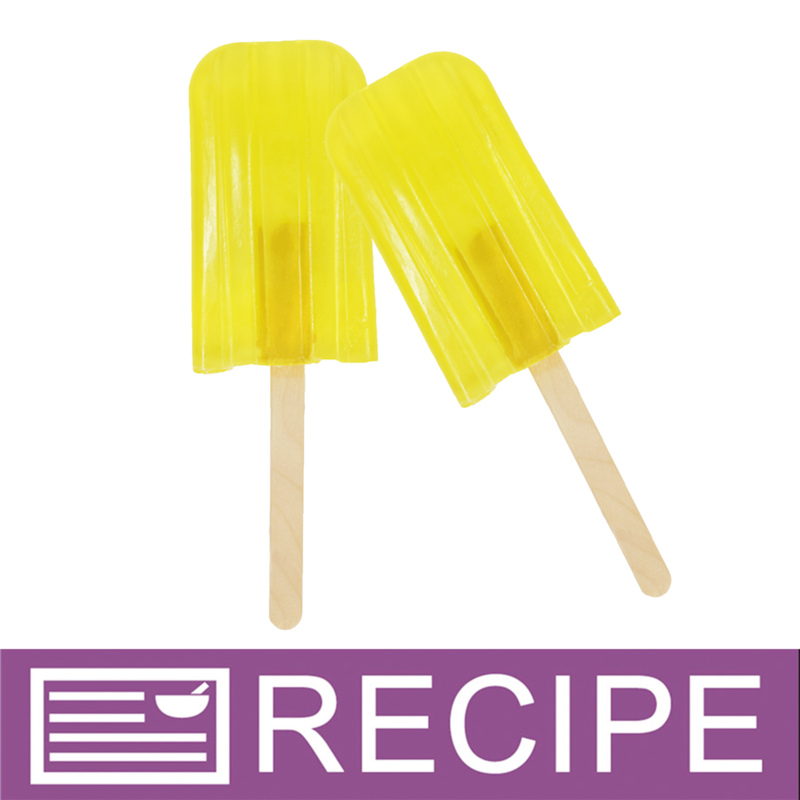 Place lid on mold and insert popsicle sticks into each opening. Remove lid. Carefully remove soap from mold by gently pulling the sides away from the soap, and then push on the bottom of the mold until the soap starts to release. Grab hold of the soap and carefully pull out of the mold. Allow soap to cure for 2 to 4 weeks. DO NOT PULL FROM STICKS. Hot Process Soap: Scoop hot process soap into mold cavities. Gently tap the mold onto the counter to remove air pockets. Place lid on top of soap, and then insert popsicle sticks into each hole. Allow soap to cool and harden. (This can take up to 48 hours.) Carefully remove soap from mold by gently pulling the sides away from the soap, and then push on the bottom of the mold until the soap starts to release. Grab hold of the soap and carefully pull out of the mold. DO NOT PULL FROM STICKS. Lotion Bars: Pour melted lotion bar mixture into mold cavities. Place lid on top of soap, and then insert popsicle sticks into each hole. Allow mixture to solidify. Carefully remove lotion bars from mold by gently pulling the sides away from the lotion bars, and then push on the bottom of the mold until the lotion bars starts to release. Grab hold of lotion bar and carefully pull out of mold. DO NOT PULL FROM STICKS. "Super popular at fairs and festivals"
COMMENTS: Kids cannot help themselves but to be drawn to these. Very popular. "Soap Pop Silicone Mold 1617"
COMMENTS: These are great - need to order more - can't keep up w/ my kids or customers. 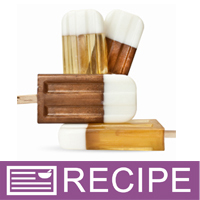 Adults and kids both like the 'popsicle soap'. It is so much fun to use and so easy my granddaughter (7) can do it. It isn't too hard to remove the soap from the mold - once you get the hang of it. These sell well and work great to draw attention to the table. COMMENTS: When I first purchased this mold it was to make a Neapolitan Icecream bar for a special event. 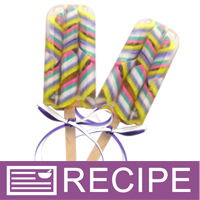 Since then the ideas are limitless on the cool Icecream bars you can make. I love packaging my product as well with different embellishments to enhance the sell appeal. "Love this Soap Pop mold!" COMMENTS: I was a little nervous about spending so much money on a soap mold but I'm sooo glad I did! Very sturdy mold. It takes a few minutes and a little patience to get the pops out, but once they do they are so stinkin' cute! COMMENTS: I enjoyed this mold. It is very ideal for summer. I did have a little difficulty unmolding at first but eventually figured out how to push the pops out. COMMENTS: Great for making soap popsicles. COMMENTS: It is very cute! Easy to use especially with the top that stabilizes the stick and silicone is my favorite. COMMENTS: I am new at soap making. These are so much fun to make. Just melt, color, scent, stir and pour. Regular Popsicle sticks work perfectly. I have sold two and look forward to selling a lot in my summer outdoor booth. 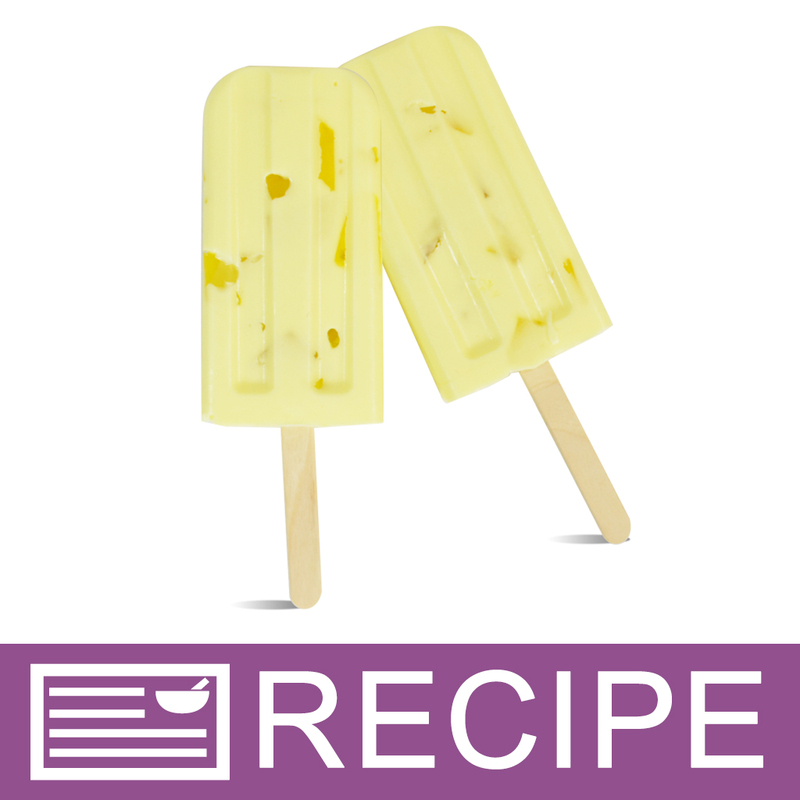 COMMENTS: I love the popsicle mold, and I will continue to use it; however, my soaps were somewhat difficult to get out of the mold. 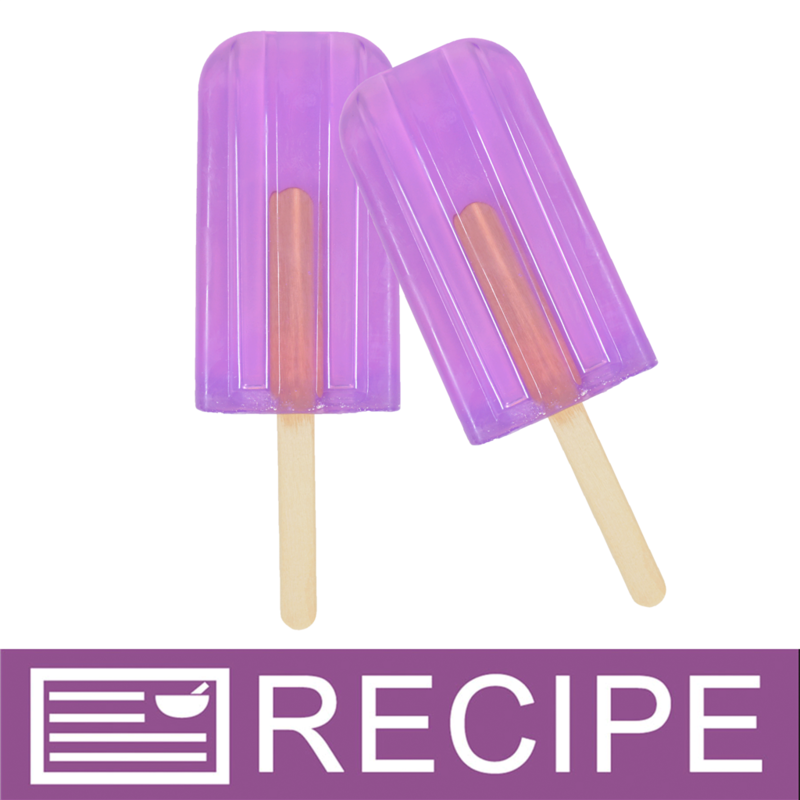 COMMENTS: Super cute mold, fun to make soap pops with- however, i found it really challenging to get the soaps out of this mold, therefore i don't reach for it that often. Maybe there is some trick i need to learn to pop them out easier. COMMENTS: What a cool mold! I'd recommend removing soaps slowly and very carefully, because silicone can tear if you manhandle it. COMMENTS: I love this product for a mold. I get so many compliments about the soaps made from using this. You will not be sorry. "Great - but holds scent"
COMMENTS: I love this mold, and the soap pops are adorable. I wish I could give 5 stars, but the one thing that makes me crazy is that no matter how hard I try, I cannot get the scent out of the molds. They are also a pain in the rear to wash, but that is manageable. I even go light to medium on the scent to try and decrease the impact, but no luck. Soaps are easy to unmold, which is nice. • Wish it wouldn't absorb scents so much. COMMENTS: Such fun mold! 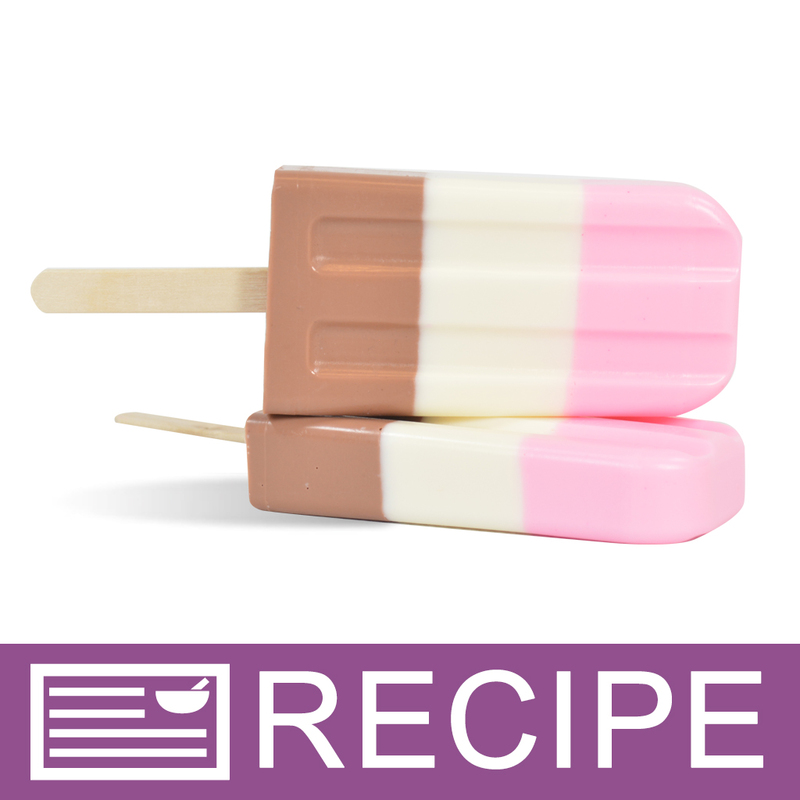 I didn't even mean to add the Popsicles to my line, but whoever saw them - had to have them! So cute for summer soaps and party favors! COMMENTS: This a great mold. The popsicles pop out like a dream. This makes a awesome popsicle shape. 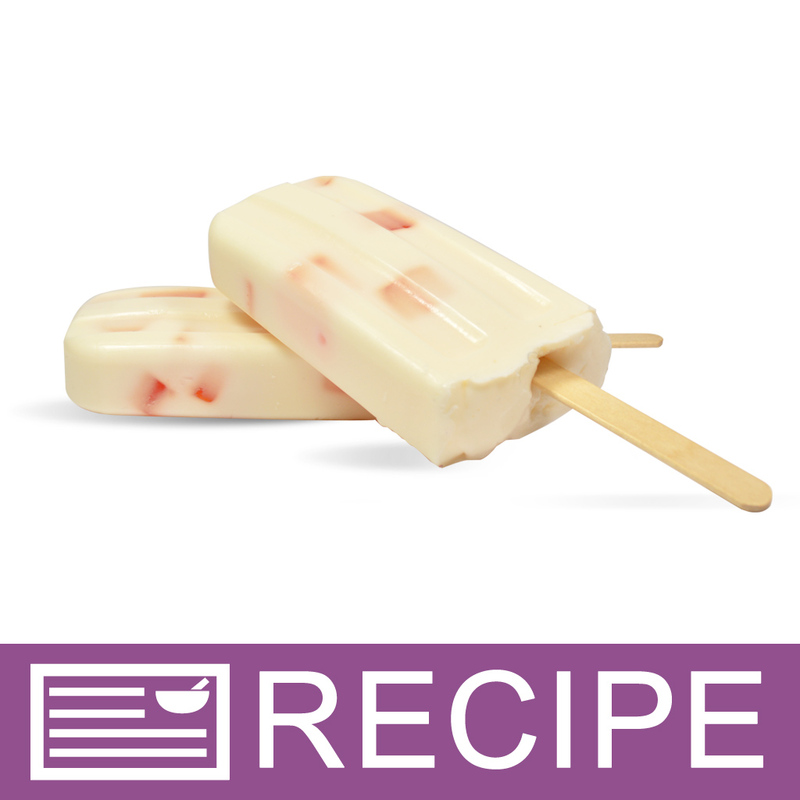 "Makes the most realistic soap popsicles"
COMMENTS: At first I found it a bit difficult to unmold, but then I figured out how to unmold the Popsicles. If you push out the soap from the bottom using your thumbs and hold on to the top of the mold with the rest of your fingers, they come out easily. You will see the silicone start to separate from the soap as you push from the bottom. 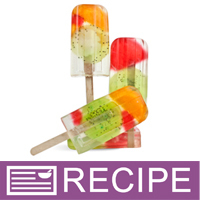 It takes less than a minute to unmold each popsicle this way. I did find that the mold will budge if you fill it up with 3oz of soap at one time, but I find it does not bulge if you pour one ounce at a time and allow it to thicken up a little. I plan to use it for cold process soap and for that I may need to reinforce the sides or it may be possible to fill it an ounce at a time without bulging. I'm glad I paid more and got this mold instead of a plastic mold. COMMENTS: Decent mold. Had to reinforce it with something because the soaps come out bulged. A little better than others I have purchased in the past. COMMENTS: I have used this mold twice now already, Its nice but somewhat tricky to unmold. I find that I spend more time unmolding them then actually making the soaps. I would recommend it, but have patience on unmolding your soaps/products. COMMENTS: This mold is great quality, has an excellent capacity, and makes putting the sticks in the soap so easy with the little slot on top! "LOVE THE STYLE & ITS POSSIBILITIES!" 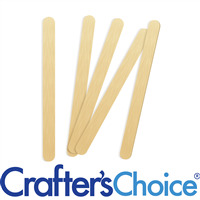 COMMENTS: I love all of the different styles of soap pops that can be made with this. The only complaint I can say I have it how challenging it is to get them out of the mold. But with patience, and perseverance, they do come out! COMMENTS: Perfect size and shape, and sturdy molds. My popsicles came out perfect the first time! A word of advice for removing them. Pop them in the fridge for 30 minutes, seemed to help. Make sure you get air around the entire pop, then push up from the bottom. Also putting it in the fridge for 15 minutes between layers really speeds things up. "wonderful for soaps for kids"
COMMENTS: Did not try out yet but these will be so cute for party favors. Cannot wait to try it out. COMMENTS: I had been looking for this mold for a while. Didn't realize WSP had it. I'm so excited to try it out. I think it will be a great seller here in South Texas. COMMENTS: I like this mold but have a hard time getting the pops out. They look just like a real popsicle. COMMENTS: I am in love with this mold! As soon as I received it I made a batch of melt and pour. I made peach scented and colored the soap in peachy colors. The finish is really smooth and shiny on the finished product. The soap looks so realistic and edible you may have to include a "do not eat" warning! I can't wait to make soap in all fruit scents and colors and offer them to my customers. Buy this mold...you won't regret it. COMMENTS: This makes adorable soap pops. Use any fruit flavor and the sticks and bags WSP sells and go for it. This makes 6 pops at a time. The pops come out very easily. DO NOT pull out by the stick. Turn them out like you would any other soap. They are so cute and they sell like mad especially during the Summer months. 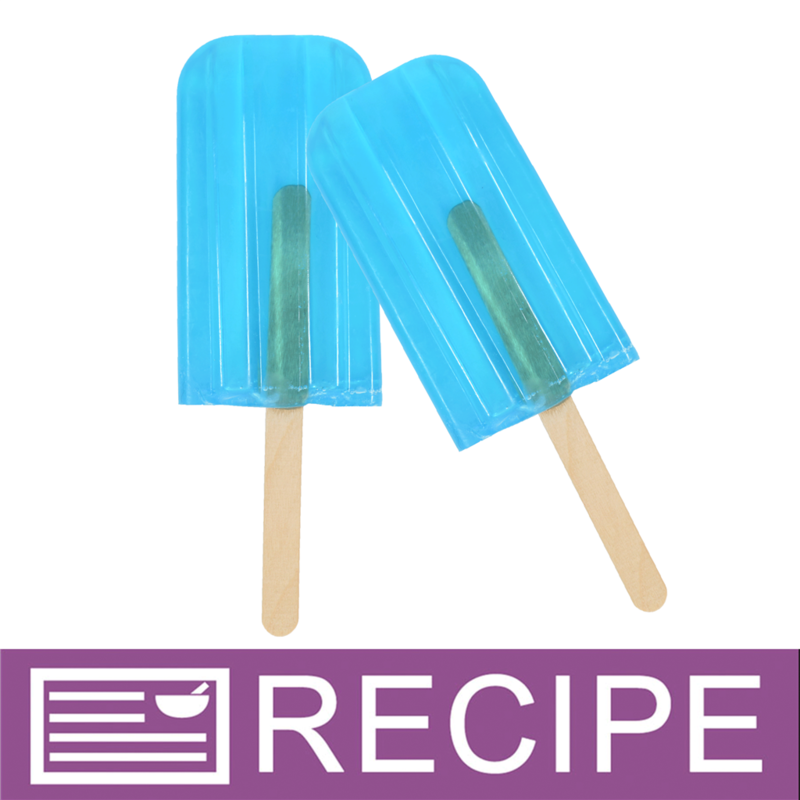 • Can also be used for real ice pops. "As cute as this mold is, I am concerned about selling a product with a stick in it. It seems a little dangerous giving a child a product with a wooden stick in it for the bathtub and telling them to be careful. How do you remove these sticks; is it when they are being used or before you use them? Do they just slide out or is there another method? Thank you." Staff Answer You would remove the stick before using. They slide out very easily with just a little tug. All our soap pop recipes contain this warning: Be sure to add to label “DO NOT EAT. REMOVE STICK BEFORE USING”. "Is there a way to keep this mold from bowing out at the bottom? I have tried it several times and my finished soaps come out with lumps." Staff Answer Two options are to place support along the bottom of your mold to help prevent the bowing or to pour your soap in multiple layers. When pouring in multiple layers, allow the first layer to harden and then spritz with alcohol before pouring the second layer. "I have heard that the finished soaps are hard to release, not only from this product but other similar products as well. What's the key to an easy release without manhandling the mold? Thank you." Staff Answer Hi Julia - The key is to release the suction between the soap and the mold. We find that slowly and carefully pulling the mold away from the soap releases this suction. Once you can see the mold separate from the soap, it should be much easier to push out. Push out a tiny bit, then grab the exposed soap the rest of the way out.